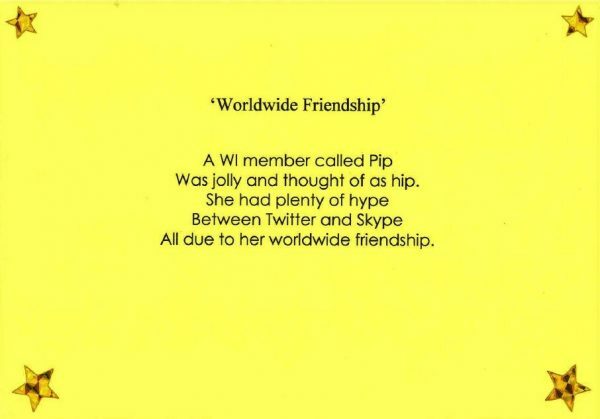 This year the International Sub-Committee’s Mary Boyd Competition tasked entrants with compiling an original limerick on the theme ‘Worldwide Friendship’. 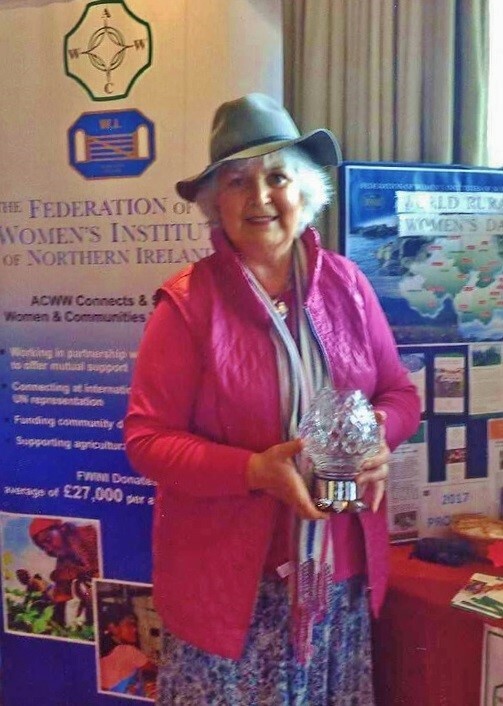 The winner was Jennifer Skelly of Moneyrea WI, who was presented with the prestigious Mary Boyd Trophy at the AGM on 22nd March. 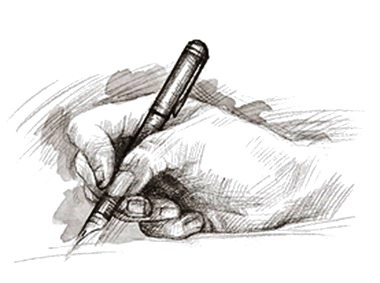 Jennifer’s clever, light-hearted limerick stayed true to the theme but also added a modern twist with her reference to social media, which allows friends from around the world to connect at the click of a button. The brilliant winning Mary Boyd entry composed by Jennifer Skelly of Moneyrea WI. Jennifer Skelly of Moneyrea WI, posing at the International stand at the AGM with her very well-deserved Mary Boyd Trophy.